The first-ever primer on Canada’s Constitution for anyone who wants to understand the supreme body of law in the land. 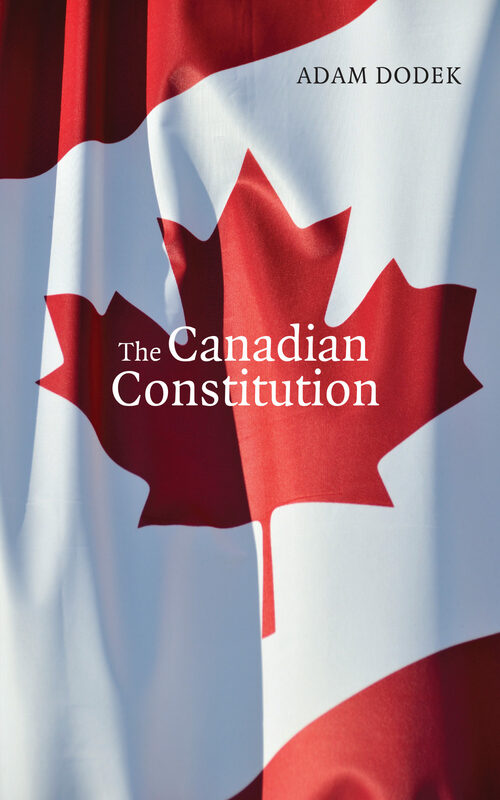 The Canadian Constitution makes Canada’s Constitution readily accessible to readers for the first time. It includes the complete text of the Constitution Acts of 1867 and 1982 as well as a glossary of key terms, a short history of the Constitution, and a timeline of important constitutional events. The Canadian Constitution also explains how the Supreme Court of Canada works and describes the people and issues involved in leading constitutional cases.Author Adam Dodek, a law professor at the University of Ottawa, provides the only index to the Canadian Constitution as well as fascinating facts about the Supreme Court and the Constitution that have never been published before. This book is a great primer for those coming to Canada’s Constitution for the first time as well as a useful reference work for students and scholars. .